Paula, I thought it was really interesting that you didn’t want to paint the majestic trees of the West Coast. I think your point goes beyond the desire to paint what we know intimately – the trees in our backyards. There can be a deep respect in letting certain things remain secret. I just participated in Bushwick Open Studios this weekend, an event that, in a host of ways, increasingly encourages seeing art as entertainment. 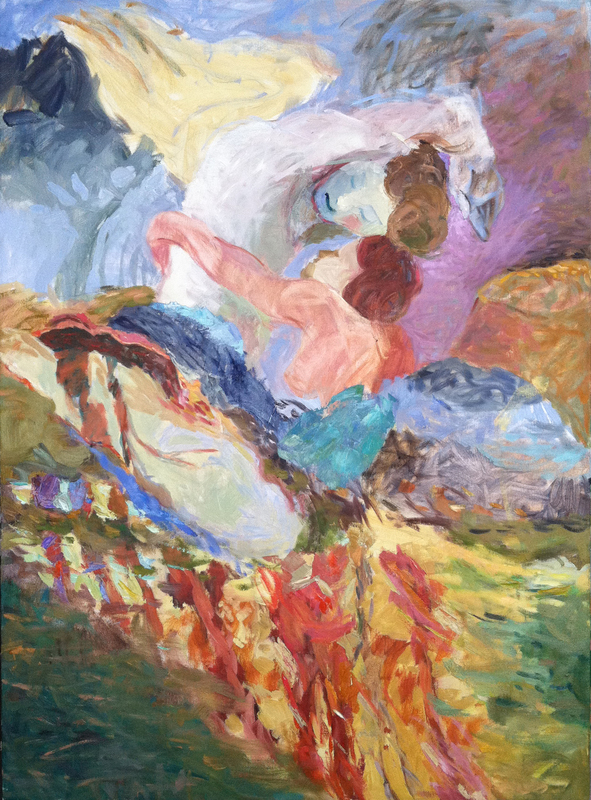 I found myself sometimes willing to talk with the steady stream of visitors about the inspiration for my paintings, but sometimes preferring to let the paintings speak for themselves, not wanting to explicate them away in a sentence or two. A few weeks ago I returned from a West Coast vacation. 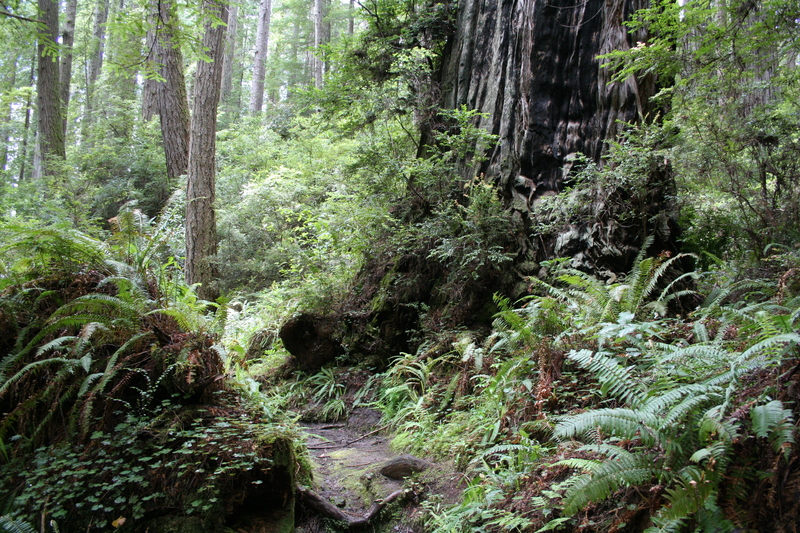 With my husband and close friends, I hiked the redwood forests, wandered the coastal cliffs and climbed beside waterfalls. I took tons of photos and made a few (very few) drawings. I find myself wondering why of all the vast and timeless sights I experienced, my first painting to emerge from the trip is of reflections on water, something I see weekly on my wanderings in India Point Park. The redwoods were hundreds of feet tall and thousands of years old. The forest is dense with fallen trees covered with whole ecosystems – moss, plants, and young trees springing from their ashes. These amazing layers of life act as a sound baffle, and the forest seemed almost silent. No one goes in to tidy up. This is truly the forest primeval. I paint trees, a lot. But I don’t think I can even attempt to paint these awe-inspiring trees. I don’t think I want to.